The model GDM-100-TI features a model GD-10 analogue transmitter integrated into the rear of the case. 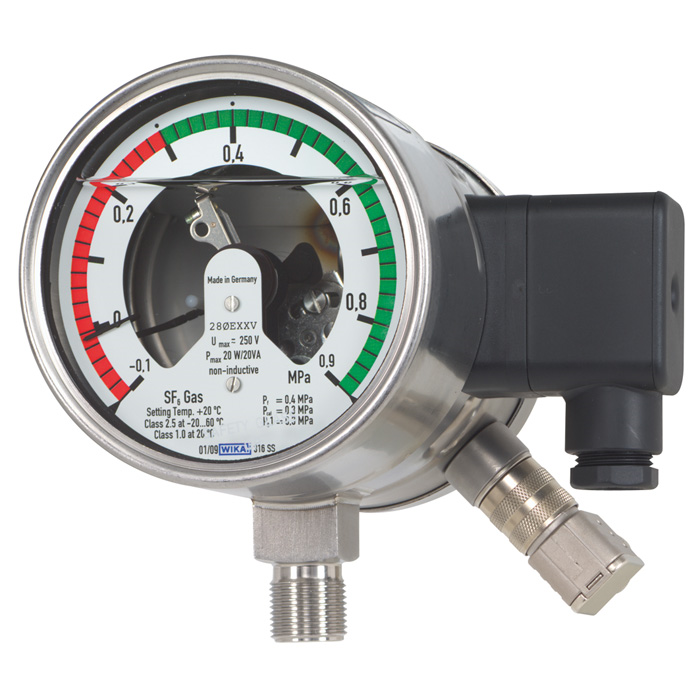 Through this, the functions of switching and transmission are combined in just one gas density monitor. The combination of a gas density monitor and transmitter in one instrument enables the parallel operation of both instruments with only one process connection, provides additional safety through redundancy and simplifies the installation tasks on the electrical equipment.